Trama: Mentre si avvicinava al traguardo dei 100 film, Brigitte Lin prese parte a una miriade di wuxia con una serie di incredibili interpretazioni. Tra i suoi ruoli più amati troviamo proprio quello dell’assassina nel fantastico e onirico The Bride with White Hair di Ronny Yu. Leslie Cheung ci regala una performance superba, ma è Lin a calamitare l’attenzione del pubblico. As her filmography neared the 100-movie mark, actress Brigitte Lin leapt into a flurry of wuxia pictures with a new wave of stunning performances. 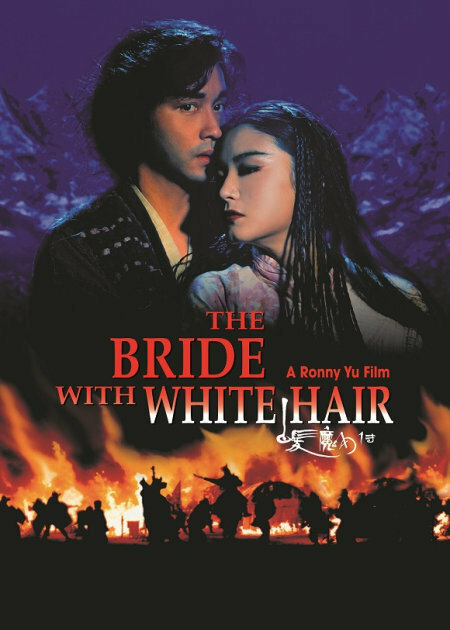 Among the most loved is her role as a powerful, whip-cracking assassin in The Bride with White Hair, a hugely ambitious 1993 romantic fantasy from director Ronny Yu. Top-billed Leslie Cheung gives a superb performance, but it’s Lin who holds the most dramatic presence, whether slicing people with her whip or exploding into a rage so fiery her hair turns white.